Planning your next voyage while onboard is easy. Princess Cruises Future Cruise Consultants offer advice on destinations, itineraries, ships and special offers. They can even help you make a booking on behalf of your travel agent. Place a low, fully-refundable deposit once onboard with the Future Cruise Office. A deposit of $100 or £75 per person earns up to $300 per stateroom in onboard spending money on your next cruise. Book onboard or back home with your preferred travel agent and enjoy the FREE shipboard credit when you sail. Take up to two years to make your next booking. If not applied to a booking within two years of purchase your deposit will be automatically refunded. When we were onboard Crown Princess in South America last year, we booked onboard for this year's sailing on Sapphire Princess. The cruise we selected was one of the featured sailings in the Anniversary Sale. Based on the cabin type and length of sailing, we were entitled to an additional shipboard credit. This year we repeated the process and booked our cruise to New Zealand next year. 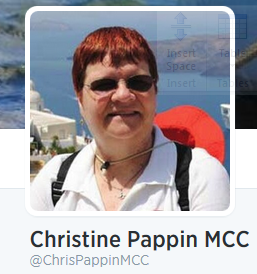 In all cases, the shipboard credits we earned by booking onboard, saved us money on our shore excursions. Cruises Inc. recognizes loyal customers with a free cruise perk for anyone booking their next cruise onboard or within 30 days of returning home. Princess Cruises Alfredo's Pizzeria is named for their Master Chef, Alfredo Marzi and voted "Best Pizza at Sea" by USA TODAY. 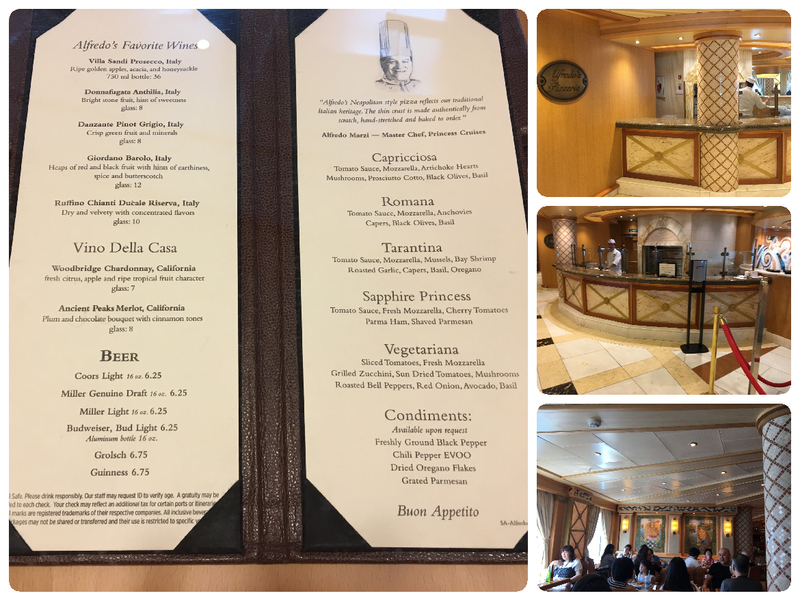 This charming sit-down venue, located mid-ship on Deck 5, offers an enticing menu of freshly prepared individual-size pizzas along with beer and wines by the glass. The open kitchen design allows you to watch as the chefs create pizza by hand and serve them straight out of the oven. 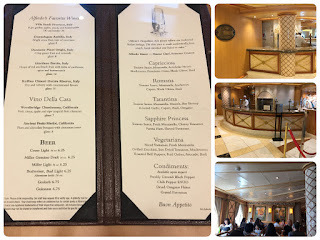 Alfredo's isn't the only place to get pizza onboard Sapphire Princess. Prego Pizzeria is located on Deck 14 forward. It serves pizza by the slice to the sun worshipers hanging out on the main pool deck. If an individual pizza is too much for you, bring someone with you to Alfredo's and you can share. Pictured here is the Sapphire Princess: Tomato Sauce, Fresh Mozzarella, Cherry Tomatoes, Parma Ham, and Shaved Parmesan. 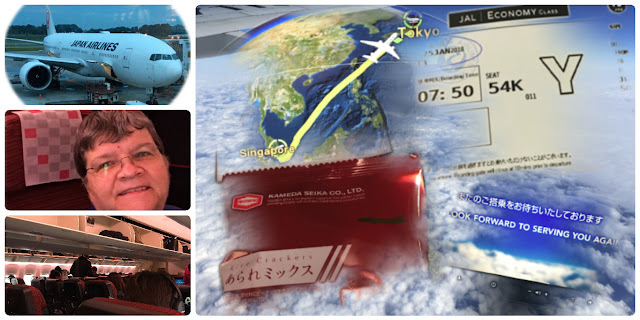 Our schedule, Sunday January 21st, called for a late afternoon arrival in Penang, Malaysia. We planned to enjoy this nice sit down pizza lunch so that we'd have something to eat before our shore excursion, which included dinner at the local hawker food stands. We agree with USA TODAY's assessment, and highly recommend Alredo's when you are onboard a Princess ship. 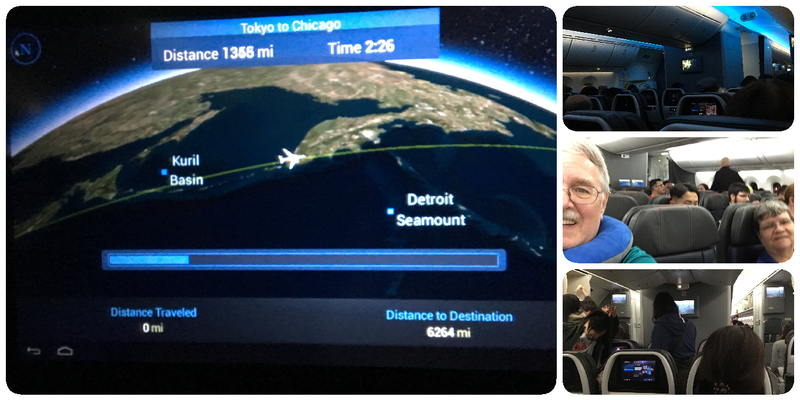 The final leg of our journey home from Southeast Asia was on American Airlines from Tokyo. We were booked in aisles seats across from each other. Fortunately, the plane wasn't full and the flight attendants re-seated passengers, so that they had empty seats between them. While the Boeing 787 is a beautiful airplane, if it were at full capacity, those in economy class wouldn't have an enjoyable flight for a long journey like Tokyo to Chicago. 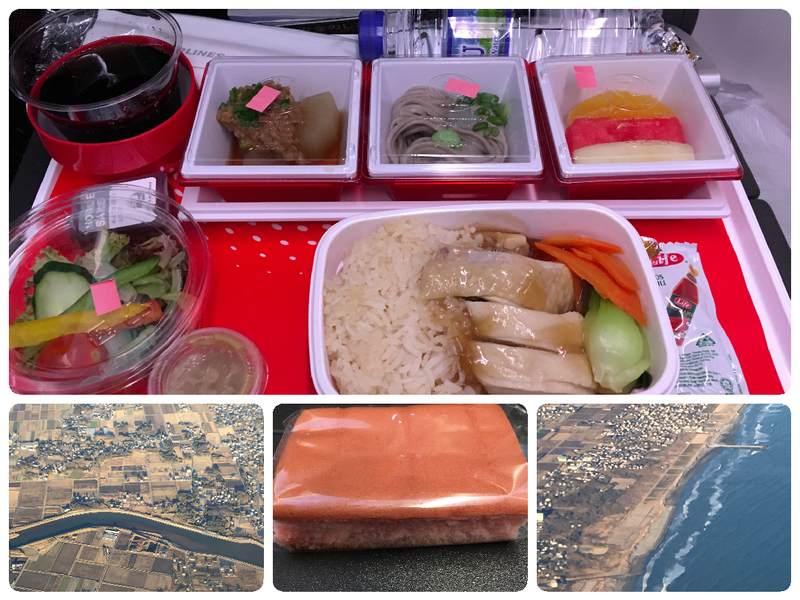 Rice crackers and beverages were served about an hour into our flight. We had taken off at 6:15 PM Tokyo time. 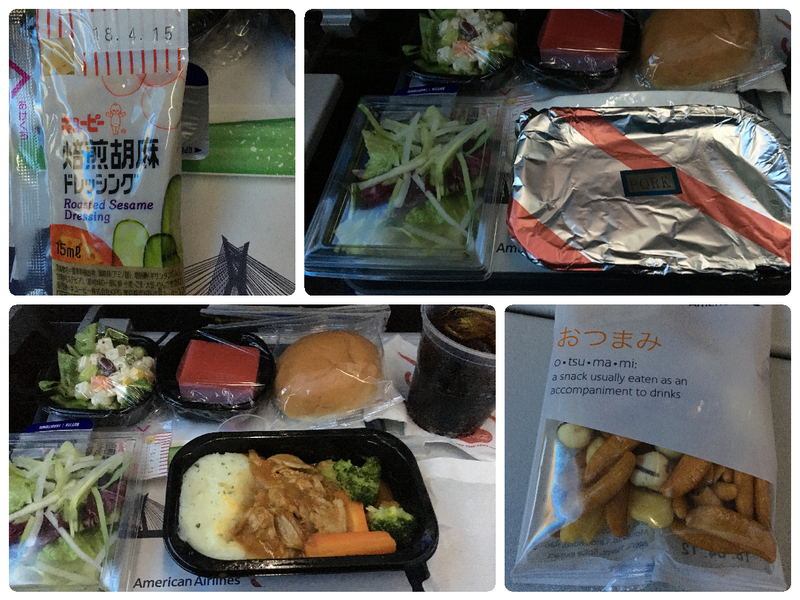 Two hours into our flight home we were served lunch. Our selection was pork with mashed potatoes and vegetables. Perhaps the strangest thing about flying to and from Southeast Asia is adjusting to the odd meal times. Normally at this time we would be eating breakfast. Our next meal in a few hours was breakfast (see album). Nineteen days had passed since we departed for Southeast Asia. We had a marvelous time exploring new sights, learning about the culture, and eating the food, but it was time to be home. As the saying goes "There's no place like home". 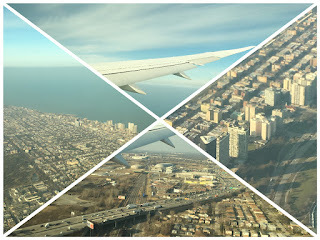 Our flight path took us over Lake Michigan where we could see the Chicago skyline. It was a beautiful day in the city; despite it being in the middle of the winter. We hope that you've enjoyed these highlights of our journey to Southeast Asia. There are a few more posts that we will add over time, mainly about the ship and our time onboard. If you have any questions or comments, we'd love to hear from you. We encourage you to go out of your comfort zone when selecting your next winter vacation - explore other parts of the world beyond the Caribbean. 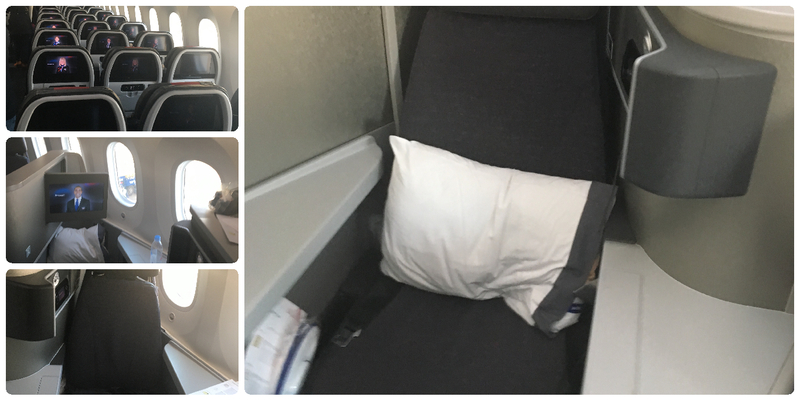 It's time to deplane our Dreamliner 787 - here are some dream seats - if you really want to splurge, upgrade your class of service when you fly. 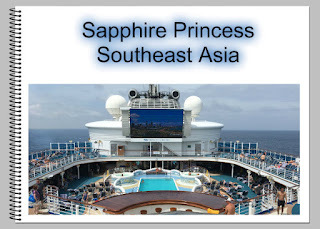 All cruises come to an end, and so it was time to leave Southeast Asia and return home. 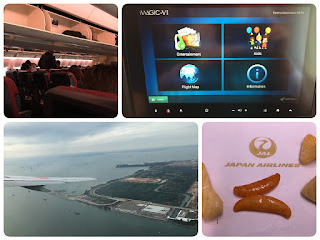 The journey began with a 6 hour flight from Singapore to Tokyo, Japan on Japan Airlines. 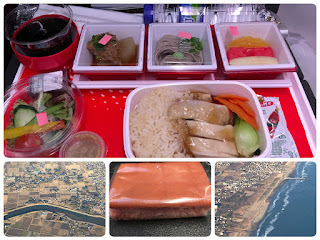 After leveling off, the flight attendants served beverages and rice cracker snacks. 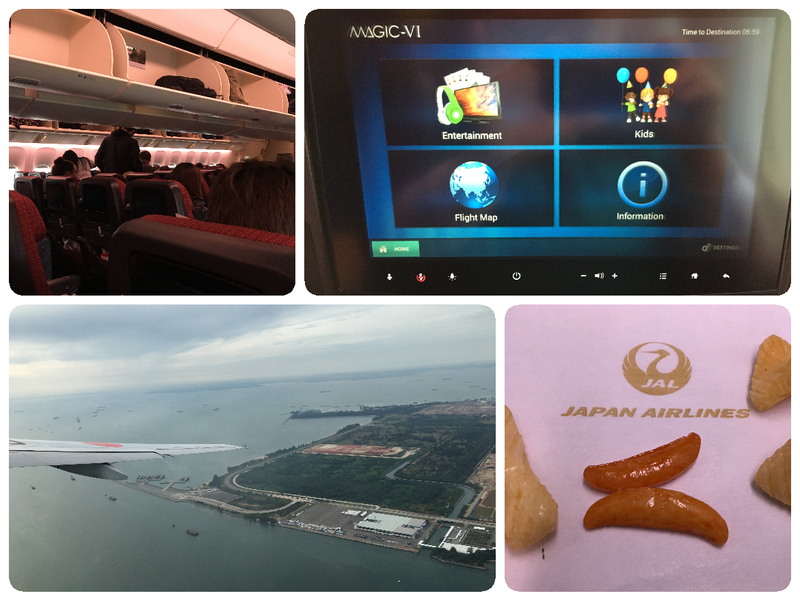 Our plane was a Boeing 777, so there was an entertainment system in our seats which offered music, movies, games, and more. We were served chicken with rice, noodles, salad, fruit and dessert for lunch. The flight was smooth and on time. 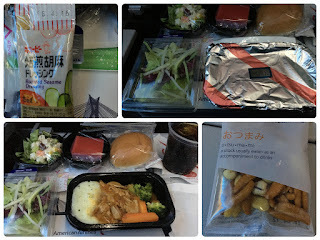 This was the first time we'd flown Japan Airlines and we were definitely fly them again. Soon we could see the coastline of Tokyo. 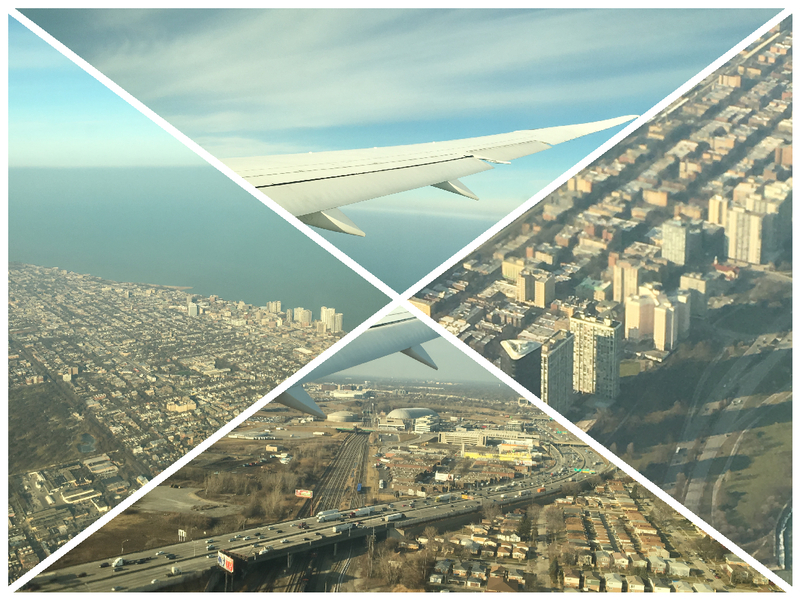 We were able to get some amazing photos from the air (see our album). There was a bit of snow on the ground, but that didn't cause any delays.